Midsummer is approaching, and Waterford Spraoi International Street Arts Festival is a headline family attraction on August Bank Holiday Weekend, July 29th to 30th. The Maxol Music Stage will be at the heart of it in John Roberts Square. Go to http://www.spraoi.com/maxol-main-stage/ to see the line-up. Maxol is giving a chance to 5 lucky Waterford customers to win high-voltage hair-raising family tickets (for 4 people) to the "Danger High Voltage" show by London Science Museum at this year’s SprOg Festival, taking place in Garter Lane Arts Centre on Saturday 30th July. 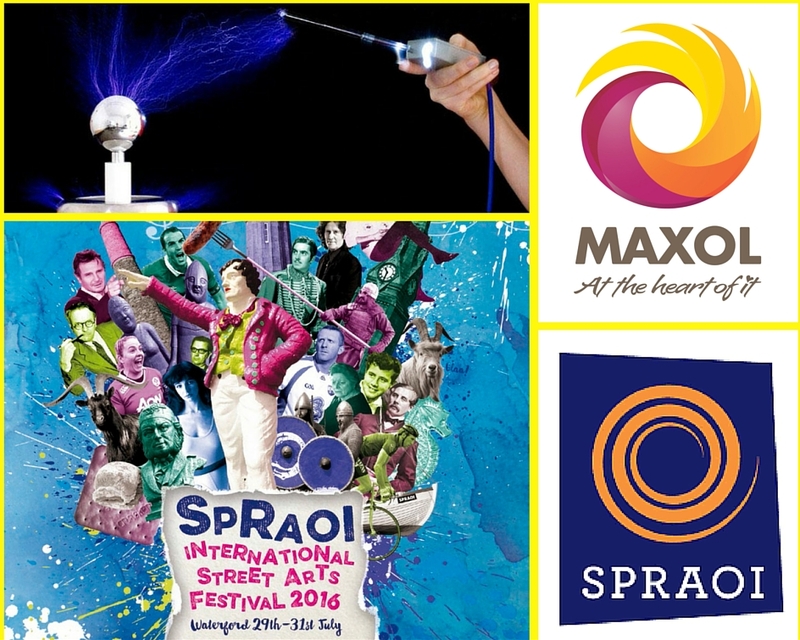 Maxol as a partner of Spraoi Festival will be there too, and will buy you a lunch with a €30 voucher from our delicious Moreish food presentation right outside the venue. Go to Maxol Facebook page & enter our competition there to win this amazing family experience.